Uploading a video that became popular and is watched by lots of people is certainly a great thing. The thing is, you need something to keep them on your channel as long as possible. That’s why you cannot simply cut the video after saying “bye” or presenting things you’ve shown on the video. There are many great channels, that have a lot views, but due to unoptimized videos, those channels do not get relative to audience amount of subscriptions. What you need to do is to create an outro to your videos that will encourage new viewers to click on yet another video of yours which may in result lead to additional subscription. 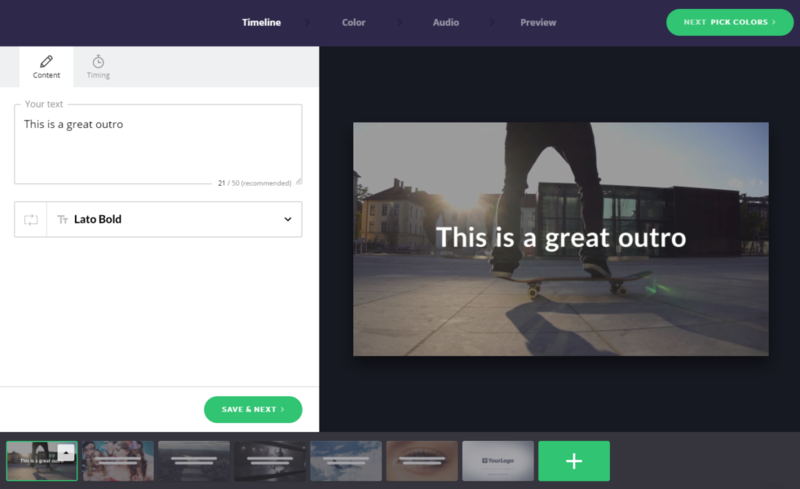 While your initial thought might be that it takes a lot of time with video editing, you might be surprised to hear that there are many tools that help you specifically with outros. Check our list of the best Outro Makers for YouTube videos. Renderforest is branded as a service for making intros, however nothing stops you from using it as a tool for outros. It’s totally up to you which template you choose for your video ending. 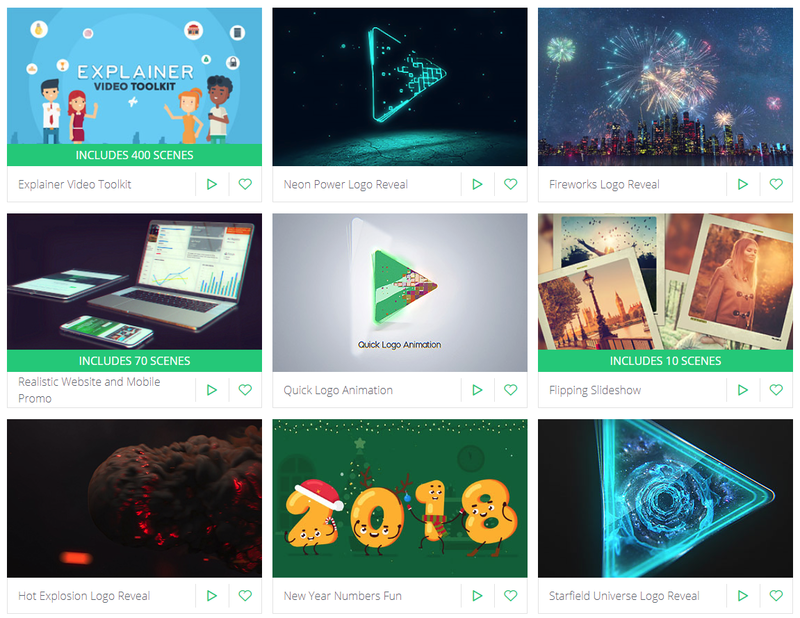 We mentioned Renderforest because it is packed with many 3D templates that are extremely nice to look at. No service that creates outros and end-screens has so many 3d models to offer as Renderforest – that’s why it’s worth giving it a try. Single intro/outro costs $20 for 720p. However, this shouldn’t be any problem for people with their companies and channels that already started earning money from ads. If opinion of others before purchasing a product or a service is important to you, just check the testimonials on the main page of Outro Maker. Many YouTubers use it and can recommend this service. With Outro Maker you can make various types of end screen for your videos – whether it’s interactive or animated – Outro Maker has it all. If your preferences lie above what their template has to offer, you may order custom-made outro for your channel (like many people apparently do) – this however costs a bit more to do, but you shouldn’t regret your choice. The basic service costs $3 monthly. With this service you can create many things, such as general animations, intros and of course YouTube outros or end screen. 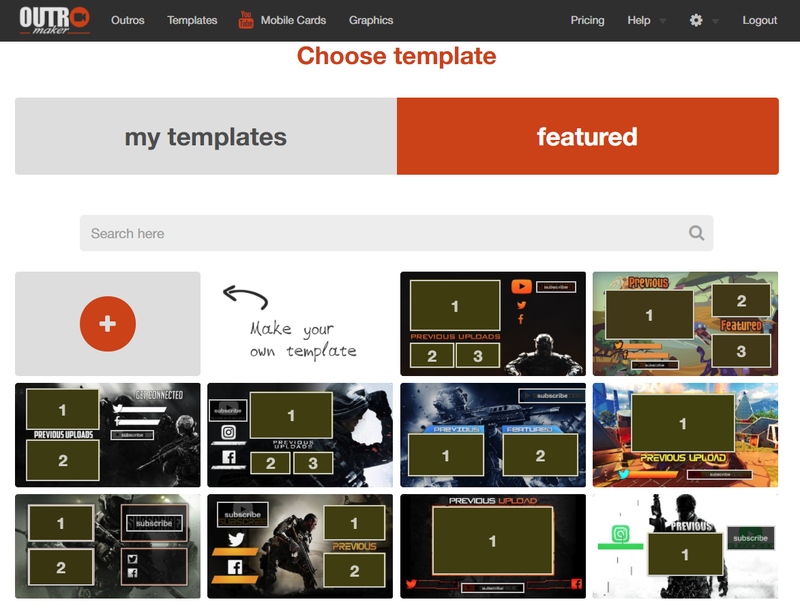 It’s free to use and lets you choose one of pre-made templates for you to customize. It is possible to implement your own music, logo and color palette. Biteable doesn’t support end-screen cards template, so you would still have to work on personalizing your outro to fit some cards on the video. 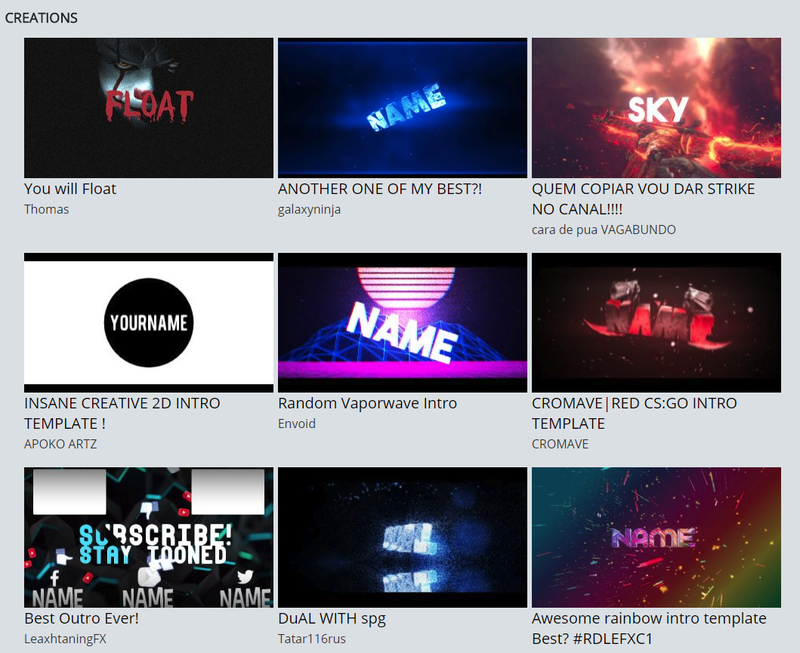 Tube Arsenal provides simple tool to further customize their pre-made intros/outros/end-screens where you can insert your own featured videos. You can customize them by changing color of various effects and adding your personalized subtitles and/or logo. Reveal type outros are relatively popular on Tube Arsenal site. Currently, downloading a single outro costs $9 in 720p quality and additional $2 for 1080p version. Finally a completely free tool for outros and intros. Each template is made by community and their free will to share those with others. It does feature high quality works, however since many people tend to use them, it may happen that those intros keep repeating a bit too often with only a name being changed and rest of the outro remaining the same. We don’t want to recommend you a single YouTube Outro Maker, since all of them have their pros and cons. Whether it’s quality that comes with a price, or a cheap and very popular template is something that will suit your needs just fine – all that you have to decide by yourself. Each paid service allows some kind of free preview so you don’t have to worry about receiving something you didn’t check in a first place. If you know about any other tools for outro creation, let us know in the comments! Thanks for sharing. I am searching for the good ways to make an outro for my YouTube channel.